STS Shigematsu is Japan’s leading respiratory manufacturer who in 2017 celebrated 100 years in business. 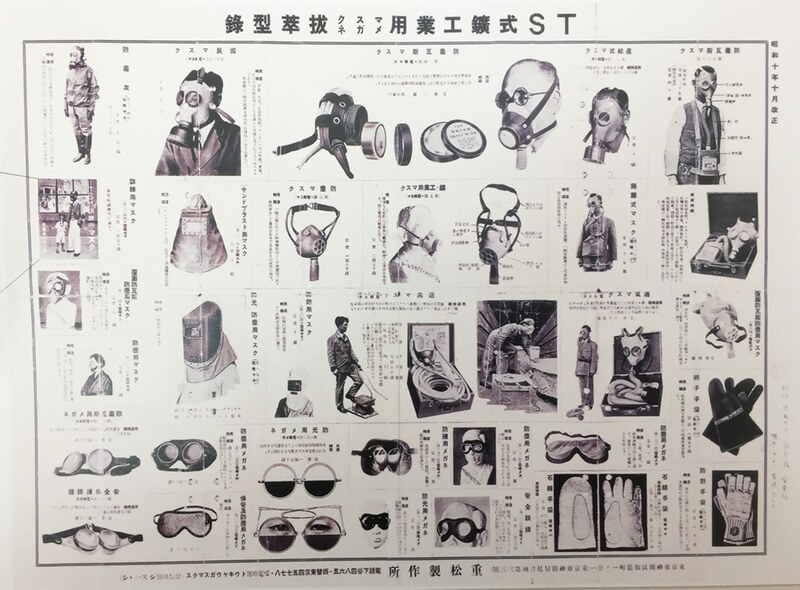 There company policy is focused on “Protecting Workers health and supporting their welfare”, through the ongoing production of affordable, high quality respiratory protective devices. Breath easy with one of the most compact and easy to use Power Air Purifying Respirators (PAPR) on the market. Ultra lightweight CF01 Full Face reusable respirator. P2 pre-filter clips over STS gas filters to make a combined Particulate and gas filter. Multi-Gas Filter (CA-ABEK1) offers protection against organic and inorganic gases and vapours. Organic Gas & Vapour Filter (CA-A1) offers protection when working with organic solvent. Organic Gas & Vapour Filter (CA-A2) is designed for areas of higher concentration of organic gasses and vapours. Organic Gas & Vapour Filter (CA-AX) offers protection when working with organic solvents with low boiling points. P2 filter for use with STS half and full face masks. P3 filter for use with STS half and full face masks. RS01 Thermoplastic Half Mask is an economical reusable half mask. RX01 Silicone Half Mask reusable respirator. Large Full Face Mask Respiratory Starter kit for use against a variety of different organic, inorganic and acid gases plus ammonia and organic ammonia derivatives. Large Half face respirator kit for use with hazardous dusts, fine particulates and mists such as asbestos and silica. Large Half Face Mask (RS01) Respiratory Starter Kit for use when painting and agricultural/horticultural spraying. To see all Respiratory Protection products click here.